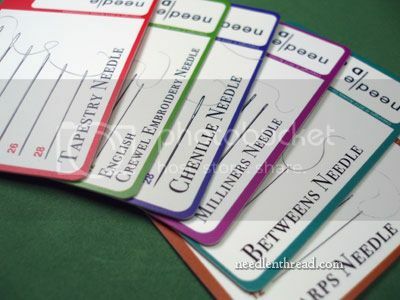 Mary Corbet (Needle n thread) has a detailed discussion on this needle ID card. She is so generous to give me permission to include the link to her blog here. 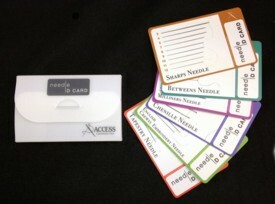 You can click http://www.needlenthread.com/2012/07/needle-id-cards.html to access her blog.